In 1967, six Chinese immigrant families on the west side of Los Angeles decided to get together to teach their children Mandarin Chinese on a regular basis. At first, they met in each other’s homes. Word of their group began to spread among the Los Angeles Chinese American community, and in two years the number of students increased to 20. Not long after that, the student body became so big that classes were moved to a local park. The school affairs were handled by parents who took turns serving a one-year term. While arranging the precious learning opportunities for children, an invaluable friendship formed among parents. 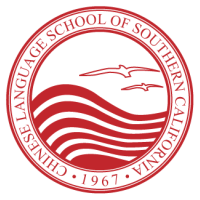 In 1977, the parents decided to officially name the school the Chinese Language School of Southern California (CLSSC). In 1981, it was registered with the State of California. One year later, CLSSC was finally officially established as a school. In 1983, thanks to the tireless efforts of hard working parents, the school and the Los Angeles Unified School District signed a lease to use classrooms on campus. This not only settled the issue of expansion of number and size of classes with affordable fees, but also established a new tradition of Saturday morning school on a campus. Over time, the schools that hosted the CLSSC included Palms Middle School (1983-2008), Mar Vista Elementary School (2008-2014) and finally, Grand View Boulevard Elementary School (2014-present). Nowadays, CLSSC, a.k.a. Westside Chinese School, is well known in the west Los Angeles community and its students number in the hundreds. The school now offers Parent-n-Me classes for 3-5 years old, grade-based classes from kindergarten and primary school through high school, as well as beginning or intermediate classes for preteens, adolescents, and adults. All classes are taught by teachers whose native language is Chinese. We also provide various extracurricular activities on campus after instructional hours. These include traditional Chinese music, painting, calligraphy, cuisine, martial arts, dance, arts & crafts, homework tutoring, journal editing, and origami. We also host academic contests such as poetry recitation, writing and poster drawing. Furthermore, we organize popular family activities, including Chinese New Year carnival, sports meet, spring music concerts, family camping, and trips to China during the summer. In the past 50 years our school has undergone many changes, but one thing has remained unchanged. The school is still a non-profit organization directed and run solely by parent volunteers. The school relies on generations of enthusiastic parents who have devoted their time and/or money to collaboratively and tirelessly operate the school. Their spirits and actions represent the traditional morals that are passed down by people who love and treasure Chinese culture. CLSSC insists on the non-profit purpose and aims to balance between income and expenditure. We are a nonpartisan and nonsectarian school. We treat all members equally regardless of their socioeconomic or cultural background. We abide to the spirits and purposes of the dawn of the school and the wisdom of our predecessors. With our success and achievements today, we wish the best for the generations to come.